The decision to lose weight is yours to make. Whether you need a small nudge in the right direction or a long-term plan and personal attention, we’re here for you. 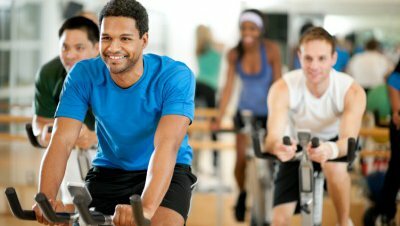 Exercise should be a major component of your weight loss plan. Stop by one of our fitness centers and find out how you can get active. Your diet is also important when you want to lose weight. Find a food plan that works for you – not a diet that is only intended to last a short time. A lifetime commitment to healthy eating is key to losing weight and keeping it off. Weight loss surgery is an option for individuals who meet certain criteria. This helps you gradually lose and control your weight by reducing the amount of food that your stomach can hold at one time. The system works by helping you control your food intake and supporting long-term, sustainable weight loss. Weight loss surgery requires lifelong behavioral, dietary and activity changes. To lose weight and keep it off requires a commitment. Moving more, eating less, and learning practical information designed to help you succeed are key components to long-term weight loss. The Journeys Weight Management Program is a 20-week class in a supportive environment that’s designed to help you learn new habits and set you on the path to wellness.